So back to my original comment on soup. But why soup? Here in the Southern Hemisphere we have our winter. Colder in some parts of Australia than others. Well winter is here in this household, along with myriad mounds of discarded tissues filling the bins, sounds of coughing and a pyjama and dressing gown day. Great to be able to have these without having to bring in a sick certificate. Time to let the body take care of itself with a smile. 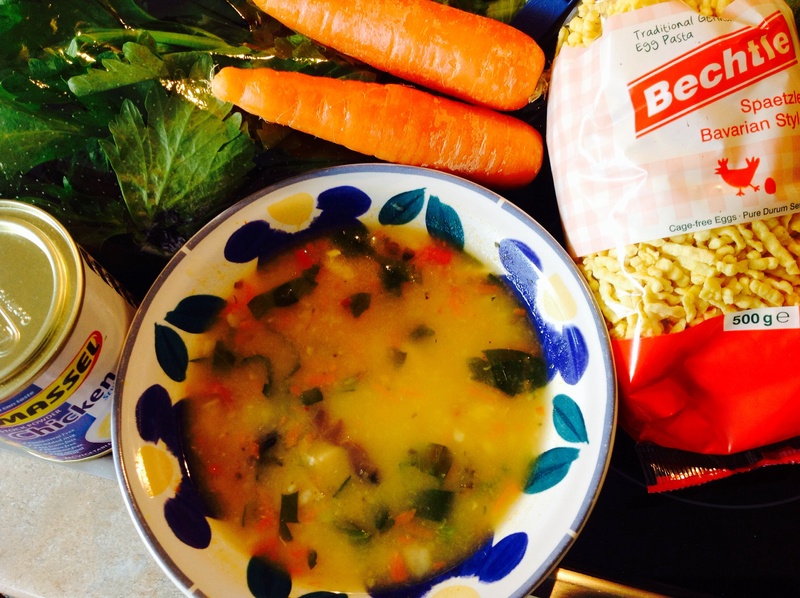 What better day than to serve soup for testy appetites with a smile. There was enough for one serve of chicken broth and vegetable soup left in the fridge from yesterday but not enough for two. So my aim was to make it stretch for both of us with minimal effort. The bunch of celery was still sitting on my bench in its cellophane from yesterday’s catch up vegetable shopping as was a large bag of the freshest young carrots. I snapped a couple of pieces of the top celery leaf stalks off and chopped them. Microwaved them briefly with the addition of a little bit of the left over refrigerated soup..carrots first as they take longer and adding the celery bits at the end. 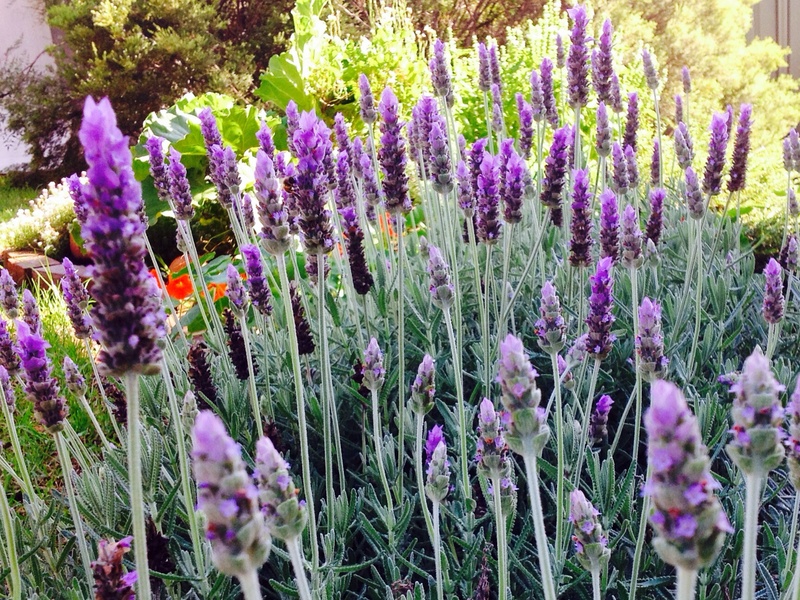 The lavender is beautiful and the soup sounds interesting. I have mixed 3 different left over soups together to make them go further. Tasted fine. Thanks for visiting. I’ve just been back at your blog and found those diaries interesting. I love soup in Winter. So do my kids which is great because it’s another way of getting veggies into them!